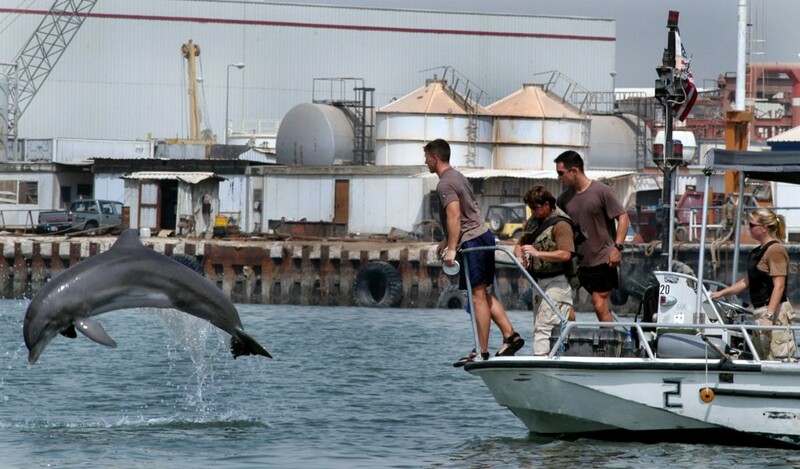 Home > World > Dolphins Guard The World’s Largest Nuclear Weapons Cache. What’s Your Day Job? 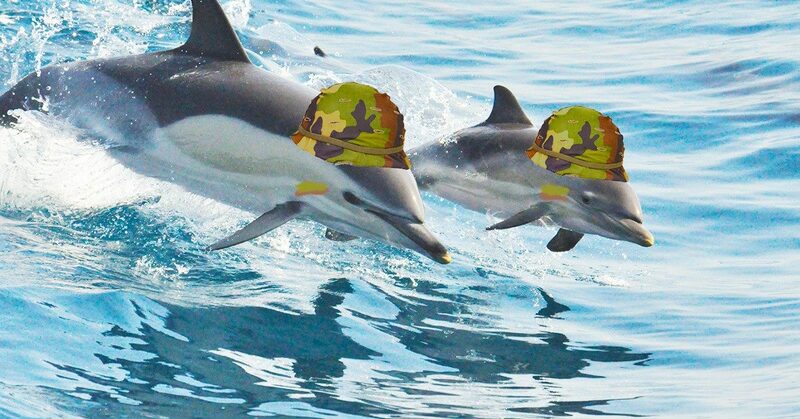 Dolphins Guard The World’s Largest Nuclear Weapons Cache. What’s Your Day Job? And you thought Sea World had the smartest dolphins. About 20 miles west of Seattle, in the Hood Canal, is Naval Base Kitsap—a storehouse for almost one quarter of America’s supply of nuclear weapons. Aside from being this country’s — and quite possibly the world’s — largest arsenal of nuclear weapons in one location, Naval Base Kitsap enlists sentries who look slightly different than those we’re used to seeing at a military base. That’s because they’re sea mammals. To protect the naval base from potential intruders and unwanted swimmers, “the Navy Marine Mammal Program at the Space and Naval Warfare Systems Command (or SPAWAR) in San Diego, California currently trains 85 dolphins and 50 sea lions for service in the US Navy,” Pierre Bienaimé explains for Business Insider. Dolphins, who have exceptional biological sonar skills, are experts at locating things deep below the surface of the water. And sea lions have very strong hearing and eyesight—especially in extreme conditions, like those in the deeper, darker depths of the ocean. For the most part, these sea mammals aren’t trained to kill—or even hurt—trespassers; rather, they work in cooperation with their human handlers. Using a system of sensors, marine dolphins, after sensing a threat, will swim up to the surface of the water in order to alert the human handler. If the handler gauges the situation might require further action, they will place an orb light or noisemaker on the dolphin’s nose—and these dolphins are trained to bump into intruders, transferring the detector from itself to the potential danger. So, while you might expect some of the most skillful and talented dolphins to reside at your local aquarium—think again. They’re actually on duty, protecting the country.